Isco’s Real Madrid career is headed nowhere, with a move away from the Santiago Bernabeu in the offing. We take a look at what has gone wrong. Marca’s headline ran: Isco, leave now. BBC followed suit, but went overkill on the opinion: Five reasons why Isco should swap Real for Bournemouth. Fair to say, the 2018-19 season has been strange and peculiar for Real Madrid and its supporters. Having let go of their record goalscorer of all time, Cristiano Ronaldo in the summer transfer window following a third Champions League victory in as many years, Real Madrid have struggled on the pitch and as a result, in the dressing room as well. Eyebrows were raised and fingers were pointed towards the manner in which Real Madrid appointed Julen Lopetegui as the man to replace Zinedine Zidane as head coach whilst he was still with the Spanish contingent in Russia preparing for the 2018 FIFA World Cup. The RFEF intervened in the proceedings and sacked Lopetegui just one day before the 2018 edition of football’s biggest competition kicked off. 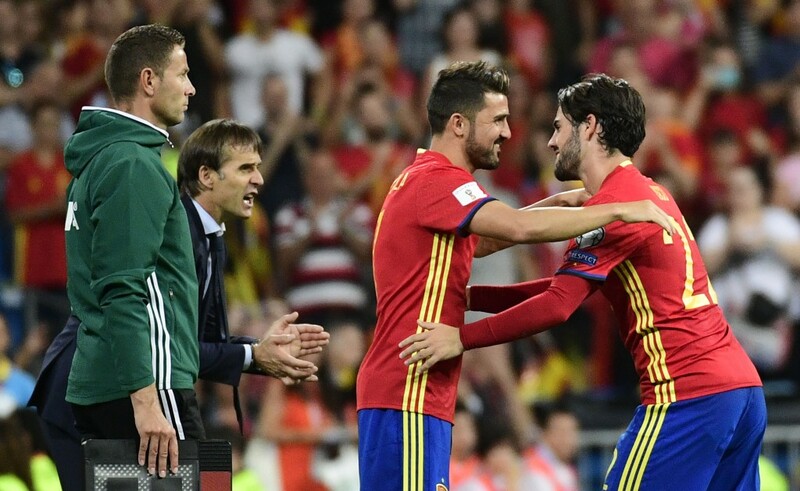 Isco led the Spanish charge in that tournament, making a lot of people reminisce about Andres Iniesta. But, the tournament effectively ended in a farce for Spain, who were kicked out by hosts Russia in the Round of 16. Lopetegui took charge of Real Madrid following the turmoil and humiliation and on the day of his appointment called it the greatest moment of his life. He was sacked four months later. Lopetegui cut a different philosophy from that which Real Madrid have preferred in recent times. Lopetegui’s sides like to dominate possession and the former Spain boss tried to change the system at Real Madrid into the mould of a possession-based team and at the centre of it was Isco. The 52-year-old had a healthy working relationship with Isco and it blossomed during his tenure as Spain head coach, wherein both Isco and the Spanish side would benefit off it. The playmaker was at the creative heart of that Spanish side that was rampant in its preparation for the World Cup and was also tipped by many as favourites to win the tournament. Therefore, it was natural that Lopetegui wanted to work out something similar at Real Madrid, with Isco actively assume the protagonist’s role. However, upturning the system at the Santiago Bernabeu turned out to be too challenging a task for Lopetegui, and the players didn’t quite click together. Obviously, the lack of a monster goalscorer upfront like Cristiano Ronaldo hurt, but it was quite clear from the very start that Lopetegui’s system wouldn’t fit at the Bernabeu. And thus, after a brief spell that saw Los Blancos getting hammered 5-1 by a Messi-less Barcelona, Real Madrid sacked Lopetegui. Real Madrid Castilla boss Santiago Solari was brought in to rescue the side’s crisis, with Real Madrid languishing in the mid-table in La Liga, having also suffered shock defeats to CSKA Moscow in the Champions League. And, that is where things started looking bad for Isco. Solari flushed out Lopetegui’s plans of a possession-heavy brand of football and with it the prospect of Isco taking the reins of the team on the pitch. Real Madrid fans have always complained that Isco is too static and slow a player to fit their system, that relies on lightning fast counter attacks and quick transitions. As ironic as it may sound, Isco is a player made in the mould of Barcelona, as he likes to enjoy receiving the ball, holding on to it, controlling the tempo of the game with dribbles and smart exchanges and then release a through ball or set up a teammate on the offensive. And from the looks of things, Solari is also of the same opinion, ultimately resulting in Isco falling down in the pecking order. But, surely, handing him two starts in two months is excessive exclusion for a player of Isco’s calibre, as even though he might not exactly suit the system, he is still one of the best midfielders in the world and someone who is capable of changing the game in seconds. 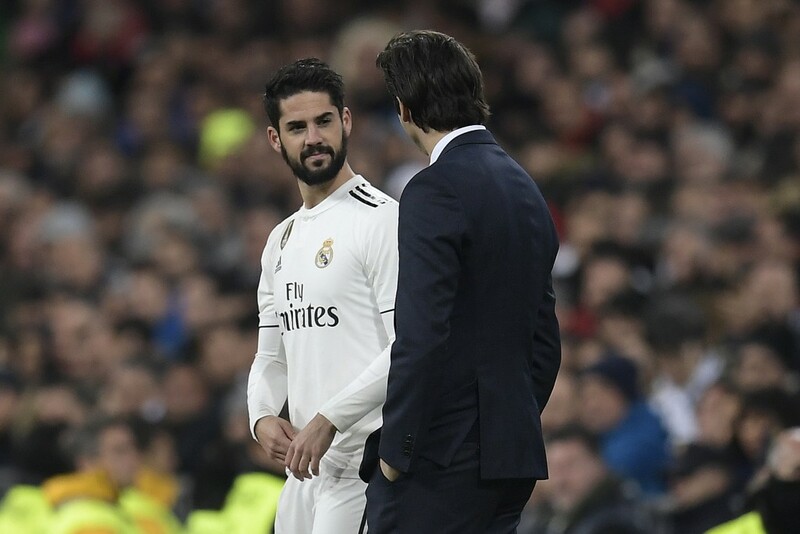 Reportedly, Isco and Solari had a bust-up soon after the Argentine’s appointment as head coach and things started going south for the pair. Word is, Isco had expressed discontentment regarding the Argentine’s tactics and strategies and that the manager did not like the way he approached the situation as he felt he was humiliated. Following this, Isco was left out of the squad in their Champions League clash against AS Roma and on multiple occasions following that. Even in the Round of 16 Copa del Rey clash against Leganes, Isco only received a rare start in the second leg, but was taken off after 68 minutes. 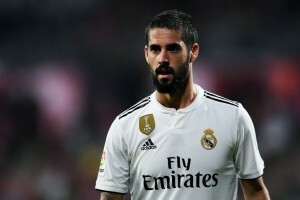 In the previous weekend at Real Betis, Solari had gone with a completely new formation with many of his players out injured and Isco still did not see a single minute of the action against at Benito Villamarin. By this point, it is abundantly clear that the 26-year-old is being frozen out of the squad despite Nacho suggesting otherwise recently. And, it is clear that Solari, whose interim contract was extended by Florentino Perez does not see him in his plans and the situation isn’t likely to change anytime soon. As per widespread reports, Isco also does not have the backing of the Real Madrid board, who would have otherwise rushed to intervene in on the matter. Instead, the club have considered selling him on multiple transfer windows. It is quite clear that Isco’s honeymoon phase with Real Madrid is over and that he must now seek solace at some other club that is interested in his services (not exactly Bournemouth for that matter). Isco is still one of the best midfielders in the world and despite having a €700 million release clause in his contract, it is common knowledge that Real Madrid are trying to offload him. Isco should not have two minds about this. A player of his calibre deserves to be in the starting lineup on every matchday delighting and wowing the fans and haunting the opposition. Most importantly, he must not be spending another half a year of his career warming the bench in the cold Madrid winter.